Don't block the box and make sure you move over! Parents might not know either of these laws, but students taking our driver's ed classes are well versed in them because we teach both concepts. Both the “Blocking the Box” law and the “Move Over” law passed in 2009, and many people who were licensed before that are still unaware of their existence. Often times we hear students telling their parents the right way to cross an intersection so they don’t “Block the Box.” We also hear them explaining to their parents how to move over one lane so they can be safe when traveling past emergency vehicles. Still after all this training, both laws can be difficult to execute in real life. Often times their parents can’t help themout with this statute because they have a difficult time with it as well. 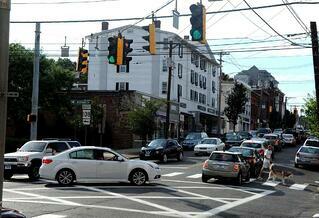 When they were learning to drive, the laws at intersections were different. There was no law against “Blocking the Box,” and in fact, people were encouraged to push into the intersection, and if the light turned red while they were still under or past the light, they would quickly try to get out of the intersection. The “Move Over” law is also one of those things that can be confusing for new and long-time drivers. As we said earlier, the more seasoned drivers got their license at a time when there was no such law. And even though there are many good students who learned what to do in driver's education class, they sometimes freeze when it comes to real life. That is why we want you to get as much time on the road as possible. When you are approaching an intersection with a green light, make sure you stay before the white line until you decide you can safely cross the intersection. ONLY cross it if you can make it safely across entirely. It is not legal to get stuck in the middle of an intersection when the light turns red! Make sure there is enough room at the other side of the intersection before entering an intersection, whether you are turning right, left or going straight. 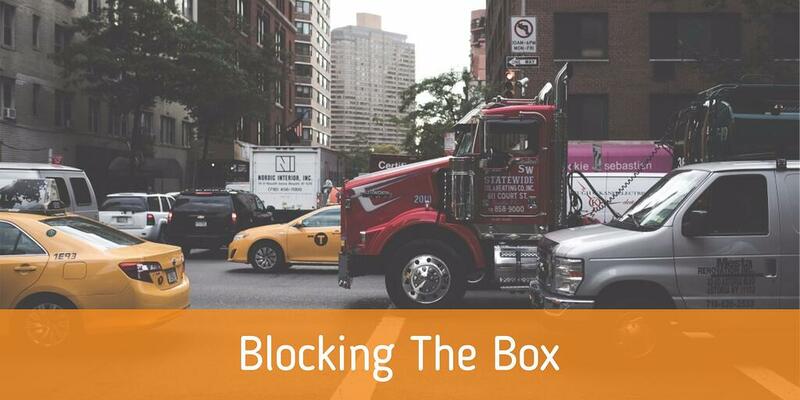 The state legislature approved an act prohibiting “Blocking the Box” in 2009 and made it an infraction to do so. Municipalities in Connecticut can, by ordinance, post signs at each intersection indicating that blocking the intersection is prohibited and violators are subject to a fine. They can also mark the boundary of the intersection in white paint. The purpose of the state statute is to keep motorists traveling smoothly and safely, and to keep the intersections clear for emergency vehicles. This law applies to emergency vehicles, law enforcement, first responders and tow trucks. Basically, a motor vehicle operator must move over when approaching a stationary emergency vehicle. 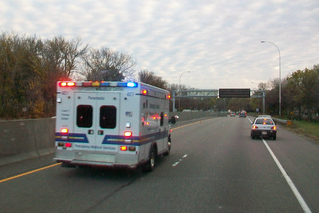 The law states that the driver must reduce their speed to a reasonable level below the speed limit, and if traveling in the lane adjacent to the lane where thre emergency vehicle is located, they should move over. If moving over is unsafe or unreasonable, then it is not necessary. Practice makes perfect. Even if you know these two laws in theory, and can execute a perfect intersection in your mind, or can envision safely moving over a lane from an emergency vehicle, reality can be more difficult. Situations come up in real life that are tricky. So practice these scenarios with an experienced driver well versed in the rules. Don't give in to pressure from cars beeping behind you at an intersection. They may push you to "Block the Box" because they are in a rush, but if you get stuck under the red light, you would be the one at fault when an accident happens or if police are out ticketing. Learn how to drive from the experts at The Next Street! We will provide you with all of the tips and tricks you need to stay calm behind the wheel. Talk to your family and friends about safe driving habits, and if you're without a driver's license, consider choosing one of our programs. They are easy and stress free! All-Star Driver is now The Next Street. We changed our name to put the high beams on how we’re revolutionizing driver’s education – where getting your license is as fast and as fun as the law allows. By training 10,000 more students each year than any other driver’s ed option in the state, by offering thousands of classes at 70+ classroom locations, and by featuring the only customer service center of any school in CT – The Next Street is The Best Driving School in Connecticut. © Copyright The Next Street. All Rights Reserved.Website design and hosting byWORX.